The Biomedical Research and Study Centre (BMC) as a legally independent research institution associated with the University of Latvia, was founded in 1993 on the basis of the Institute of Molecular Biology, Latv.Acad.Sci. by joining some groups from the Institute of Microbiology, Latv.Acad.Sci. dealing with modern virology. BMC was the first academic research institute in Latvia, that integrated into the University of Latvia. From the end of 2006 BMC was reorganized into the state institution – Latvian Biomedical Research and Study Centre (BMC), still actively cooperating with universities, especially with the University of Latvia. 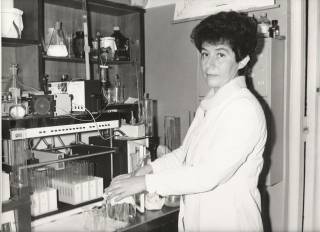 The origin of molecular biology and gene technology in Latvia was initiated in the Institute of Organic Synthesis, Latv.Acad.Sci., in middle sixties. 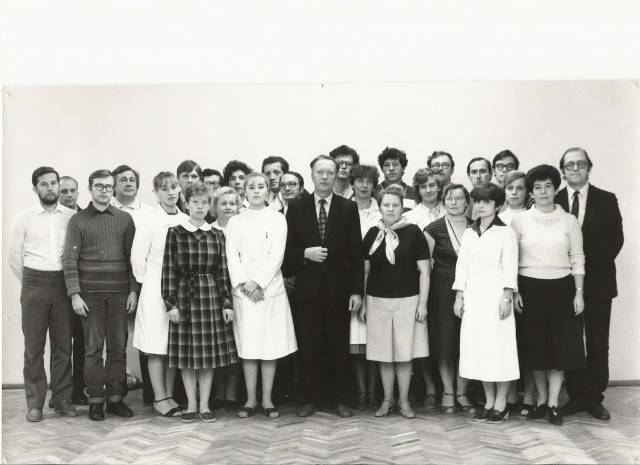 A true predecessor of present Latvian molecular biology school was the Nucleic Acids Chemistry Group organised by Prof. Elmars Grens in 1965 in the Institute of Organic Synthesis. It was the first group working in the field of molecular biology in Baltic States. 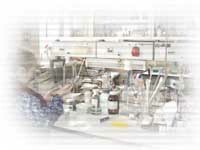 On its basis the Laboratory of Nucleic Acids Chemistry was established in 1975 with 10 researchers. As early as in 1978 the Laboratory started active investigations involving genetic engineering methodology. The first hepatitis B virus genome (1980), the first interleukin-2 gene (1988) in the former USSR, the original human a-interferon gene subtype (1984) have been cloned in the Laboratory. 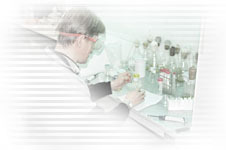 Since 1986, one of the first sites in the former USSR for production of recombinant proteins (a-interferon, interleukin-2) and immunodiagnostics (viral hepatitis B) was organised by the Laboratory on the basis of the Experimental Plant of the Institute of Organic Synthesis, nowadays the pharmaceutical company Grindex. In 1988 the Laboratory had extended to the Department of Molecular Biology with 15 researchers, having scientific degrees, but in 1991 the independent Institute of Molecular Biology was founded on its basis, consisting of 20 researchers with scientific degrees. The following reorganisation into BMC on 1993 resulted in 45 permanent research staff with scientific degrees and more than 100 employed in research on 2006. In latest 5 years research at BMC had gradually extended from basic molecular biology and construction of recombinant producers for biotechnological industry to problems of the molecular medicine and its application in health care. 3. graduate school in molecular and cell biology and biomedicine for national and international studies and advanced training. As a co-ordinator and key participant of several national research programmes in biomedicine (infectious diseases, human genome research, ageing population) BMC is aimed to elaborate and introduce molecular medicine methods (DNA tests, genotyping etc.) and nation-wide health monitoring approach in health care of Latvia. Extended collaboration and networking with partner research groups in EU member states and NAS in modern protein and genome research is complemented by research contracts with European biotechnology companies (Cytos Biotechnology GmbH , Rhein BiotechGmbH, et al.) and technology transfer to national JSC Grindeks and SMEs (Genera Ltd., ASLA Ltd., Grindex Diagnostika Ltd.). Selective and tissue-targeted drugs, recombinant vaccines and gene therapy tools, novel DNA diagnostics are regarded as main areas of innovative activities, and represent increased regional coverage and networking. The first steps towards molecular biology: people, ideas, solutions, perspectives. In Hiller’s lections I finished my speech with the period when independence of Latvia has just begun; today I would like to talk about our present condition and future prospects. There are not many people left, who could tell you about any particular branch of science from the moment of its birth until the present day. Molecular biology is that field of science, which I had luck and opportunity to be connected with since its very dawn. I will set my narration in a more popular manner, as not everyone here might be a biologist. Molecular biology as a separate branch emerged and came into being in the Institute of Organic Synthesis of Latvia. Two people, who observed this nascence very closely, should be given a credit for this appearance – Gustavs Vanags and Solomon Hiller - they gave us a chance to express what we had. Gustavs Vanags was a very unrestrained and attractive personality, students used to come and visit him from the first days of his enrolment to the faculty of Chemistry. Solomon Hiller was the most excellent organizer of science in Latvia ever. Thus – the onset of molecular biology in autumn 1964 – G.Dubrus, G.Čipēns, R. Žagata, M. Līdaka, E. Grēns. Due to the financial support from Moscow some small structural units emerged, and some people were ready to take the challenge and begin to work on something completely new. Others, more or less, kept working within organic synthesis, whilst I took the greatest risks. 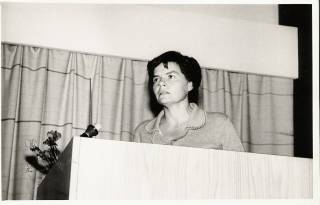 In 1969 we began our campaign as a separate group of five people, that time we were allowed to work for five years, without being requested to provide the results. Those who were engaged from the onset – Inta Jansone, Regīna Reinhofa, Guntis Rozentāls, Valdis Bērziņš, Valdis Tauriņš. Later on, others joined us – V.Baumanis, P. Pumpēns, G. Borisova, I. Cielēns, E.Stankēviča, A. Cīmanis (currently working in Israel), A. Dišlers, T. Kozlovska, V. Bičko, Z. Šomšteine, and others. During the first five years we had neither real financial base, nor real knowledge. We were not given permission to go abroad, so we had to master everything by our own means, not getting any help from without. 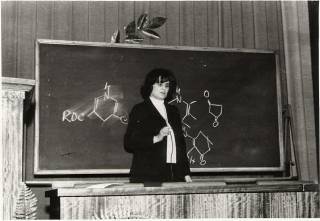 A milestone – the IUPAC symposium on the chemistry of natural substances was held in Riga in 1970. 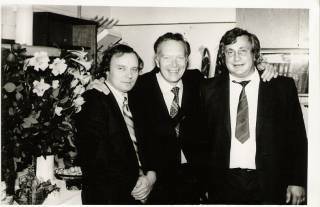 It became and still remains the only event of such scale in Riga – four Nobel Prize laureates and many world-acknowledged chemists participated in the symposium. Indeed, we fully realize the meaning of that event only today. In terms of this symposium we shared our results with others. It was the time when our first publication on nucleic acid modification on the 3’ end was published in one of main scientific journals of the USSR. That time nucleic acids’ structure could not be easily defined, amongst the attempts to make it there was terminal labeling technique, for example. Then another opportunity of proving RNA ribosome continuity emerged, as it was marked only at one end. It was quite an achievement for those times, even though these were only the first steps laid on our way. Our hour of triumph came in 1975, when USSR-USA symposium came about in Kiev: everyone was impressed by the level we had. In the same year we started to appear in the most prestigious Western magazines and became widely known. OSI establishes Nucleic Acid Chemistry Laboratory. Unfortunately, Hiller couldn’t witness this. The acknowledgement of our scientific level was the functional organization of bacteriophage MS2 RNA replication gene initiation region. Around the world many worked on this issue. We explored the structure between two of the genes, the role of the nucleotide. We synthesized nucleic acid chains of different lengths and investigated their activity. The following stages were enzymatic and chemical synthesis of oligoribonucleotides, nucleotide composition rearrangement, (in E.Stankēviča’s and Regīna Reinhofa’s teams). The desirable level was achieved. The next focal point was successful solution for RNA phage replication mechanism by aborting phage replication with rifampicin (P. Pumpēns). Except that the insufficient level of computer technology did not allow us to make the mathematical model that time. The 70’s became a closing time for one important stage in Latvian science, as well as in the world – e.g. the era of “pure” molecular biology. 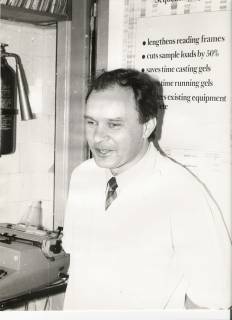 The 80’s came with new grandiose opportunities and challenges – gene engineering and modern biotechnology age began. 1. Laboratory of Protein Engineering (lead by Pauls Pumpēns) – 12 people. 2. Laboratory of Gene Engineering (lead by Aleksandrs Cīmanis) – 13 people. 3. Laboratory of Recombinant Biotechnology (lead by Valdis Bērziņš) – 14 people. 4. Laboratory of Polinucleotide Synthesis (lead by Regīna Renhofa) – 6 people. Later on, Oligonucleotide Synthesis team (lead by Eva Stankēvīča) - 6 people, joined us and OSI became too narrow for everyone (both literally and figuratively), we moved to newly built Molecular biology building at Krustpils street, presently known as “Grindex”. In 1990 Institute of Molecular Biology was established, in 1993 – LU Biomedicine research and learning centre at Ratsupites street, to which a half of Microbiology and Virusology Institute’s staff was incorporated. In 80’s (1977) world’s gene engineering era set off, in our country it was initiated by Pauls Pumpēns. Back at that time we fell behind the rest of the world for 3 about years. DNA sequence of B hepatitis virus was our first remarkable progress – the first in the USSR, the third in the world and our first significant publication on gene engineering. The fever of B hepatitis virus gene expression broke in with variable success. Virus-like particle inner antigen construction on which we are working at present began that time. We have also made a start in approaching VLP virus like particle (this is not a virus, but only an empty capside, which can be modified). Invasion in the big and politicized business of recombinant biotechnology began. • Reverse transcriptase and “know how”: Kiev Institute of Molecular Biology and Genetics. • α-IFN and mRNA expression in oocytes, α-IFN determination and biological activity testing: Institute of Microbiology and Virusology in Riga. • Experiments on technology elaboration: OSI Experimental factory (present Grindex). • Leading instructions and assistance: Institute of Bioorganic Chemistry in Moscow. • Other “nuisances” - mRNA production, reverse transcriptase, cloning, selection, expressing clone construction, purification of α-IFN preparation, etc. : our OSI team. • The new i-interferon subtype – iIFN-N and iIFN gene structure. • α-IFN-N product in ampoules, comparison of antiviral and antiproliferative activity. Interleukin 2 project (perspective anti-cancer preparation). In the interleukin 2 (IL2) biotechnologies we moved the furthest. • Stimulated lymphocyte culture and IL2 rectification: Institute of Immunology in Minsk. • IL2 production technology and preparation development: OSI Experimental Factory (present Grindex). • IL2 expression in yeast: Moscow Research Institute of Especially Pure Bio-preparations. • IL2 preparation bio-testing (toxicology, anti-cancer activity etc. ): Centre of Oncology in Moscow. • IL2 immunostimulator activity: Organic Chemistry and Biochemistry Institute in Prague. Scale-up equipment for IL2 production technology and biological testing was installed in OSI experimental factory (leader Juris Bundulis). Everything went smoothly, but after that USSR collapsed. Poor Latvia couldn’t insure the production based on biological methods any more. More time had passed, before we returned to biotechnology again. And there we are at present - facing the age of modern technology. Today LU BMC relies on education, technologies and scientific collaboration. In terms of education we cooperate with LU, RSU, in terms of technologies with ASLA Biotech, GenEra, A/S Grindeks, Cytos Biotech GmbH, Rhein Biotech GmbH. With an increasing force biotechnology interferes in the development of medical preparations and we would like to apply biotechnological processes in Latvia too. At the moment our staff consists of 109 members, aged 39 in average, amongst them – 45 PhD’s, 14 PhD students with working profiles in gene technology, genome research and biomedicine. • Viral particle and protein capsid dimensional structure and self-accumulation. Capsid programmed modification in order to create bio-correction sources for new generations – vaccines, immunmodulators and gene therapy sources. • Gene and protein structure and functions, their activity regulation molecular mechanisms. Gene expression. • Infectious, oncological and inborn disease molecular and epidemiological analysis and diagnostics. New means (approaches) and methods in health monitoring, preventive and therapeutic medicine. • LU BMC serves as a centre for genome research, which ensures DNA structure identification and genotyping investigations, forms and maintains genome database of Latvian population. We are also involved in numerous EU projects. 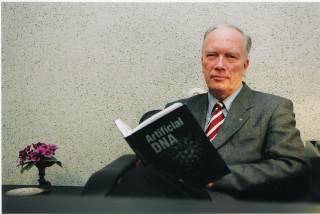 In terms of Latvian genome program a new project has been started in 2003 and the program’s first stage is to be set off in 2006. For today we stay quite reliable. But what are the perspectives? As far as I am concerned, BMC will remain unchangeable as a structure, despite the presence or absence of LU abbreviation before the title, as we are to continue our collaboration with different universities. Higher education and fundamental science are our motivation for future development. The question is, whether it is possible to maintain high-level science in Latvia without the interaction with international laboratories? The industry of Latvia does not stimulate the development of high technologies at the moment and is unable to apply such technologies in our country yet. The only way is to keep in touch with the best world laboratories, which will prevent us from being trapped in provincialism. BMC could become workshop and seminar handling centre, and moreover, it could become the connection with higher education in general. The need of biotechnological scale-up centre in Latvia is on today’s agenda, but will the government invest in such centre establishment? Genome database is essential too, but is it possible to have one soon? Hence, our future remains obscure.